Welcome to WOMA's First Blog! If you would like to participate in DO Day in Olympia on March 1st, please submit your registration form (available in the link below or on WOMA's website) by January 10th (or ASAP) to allow us time to schedule appointments with your legislators that day. 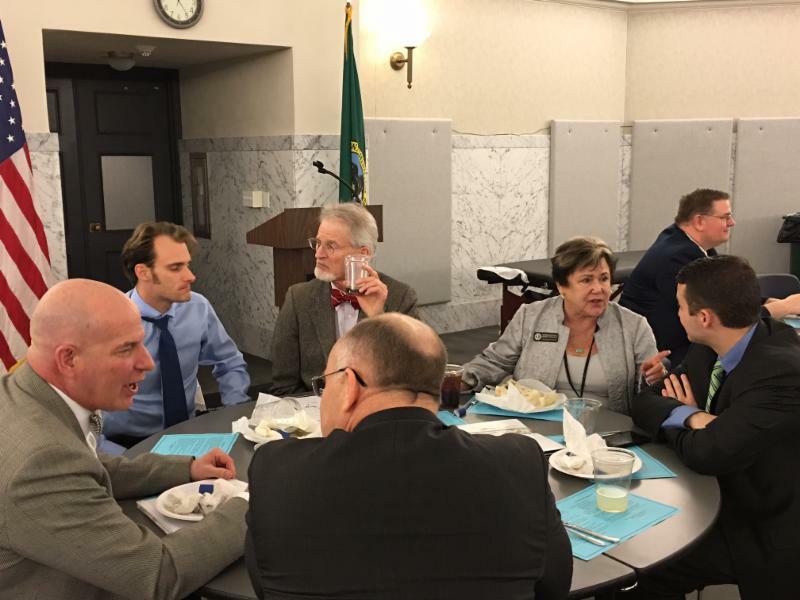 This is the perfect opportunity to share your concerns about legislative issues affecting your ability to care for the citizens of Washington State. You will be provided with discussion issues and materials to leave with your legislators and/or their staff. Lunch will be provided for you and several legislators and staff will join you and your colleagues. In addition to 85 PNWU students, please join the following who are planning to participate: Drs. Annaliese Stone Casey, Jie Casey, Rose-Marie Colombini, Paul Emmans, Jr., Scott Fannin, John Fuchs, Jim Keene, Suzanne Laurel, Steven Leifheit, Katina Rue, Don Sinden, Eric Smith and Lynda Williamson. Please contact Kathie Itter at kitter@woma.org if you have any questions. The Drug Enforcement Administration (DEA) has announced that it will reverse a planned policy change that would have ended the grace period for registrants to renew their existing registration number for prescribing of controlled substances. Under the proposed policy change, registrants who failed to renew before their registration number’s expiration date would have had to file for an entirely new DEA number. As well, the policy would have reduced the number of reminders sent by the DEA leading up to expiration from three down to one, and eliminated email reminders altogether. That policy was scheduled to take effect on January 1, 2107. The AOA immediately responded by contacting the DEA, White House and Department of Health and Human Service to advocate against this sudden and unprecedented change in policy. As a result, the DEA announced this morning that it will maintain its long-standing policy of providing a one-month grace period for registrants to reinstate an existing DEA registration. Additionally, the DEA will provide a second renewal reminder via emails. The AOA will continue to work with the DEA to gain clarification on the policy reversal to ensure that osteopathic physicians are aware of their registration renewal policies and procedures. We encourage all physicians to maintain an active DEA registration and state medical license through timely renewal, and to ensure their email and mail contact information with the agency is up to date. Please note that regardless of whether a registration is reinstated within the calendar month after expiration, federal law prohibits the handling of controlled substances or List 1 chemicals for any period of time under an expired registration. Please contact Laura Wooster, Senior Vice President of Public Policy at lwooster@osteopathic.org if you have any questions. The Mindfulness for Healthcare Professionals is designed to promote mental health by engaging the mind and the body through experiential learning. The course is adapted from Jon Kabat-Zinn’s Mindfulness-Based Stress Reduction. As defined by Dr. Zinn, “Mindfulness is paying attention, on purpose, to the present moment, non-judgmentally.” Mindfulness is an excellent antidote to the stresses of a modern medical practice as it invites us to stop, breathe, observe, and connect with one’s inner experience. Mindfulness for Healthcare Professionals: Five Week Session Program. Sundays, 6pm-8:30pm, January 29th – February 26th. Classes are open to health care professionals and their spouses/partners. Compassion Cultivation Training is an eight-week course designed to develop the qualities of compassion, empathy and kindness for oneself and others. The course, developed by a team of contemplative scholars, clinical psychologists and researchers at Stanford University, combines traditional contemplative practices with contemporary psychology and scientific research on compassion and is offered in a secular presentation. CCT classes offered to Providence health care providers only. No fee . Contact Diane Hetrick ( dianehetrick@gmail.com ) for more information about class time/location. The Washington State Department of Health, in partnership with the Healthier Washington initiative, launched a new resource to help our health system meet the triple aim of better health, better care and lower costs for people in our state. Called the Practice Transformation Support Hub (Hub), it provides coaching and tools to help small-to-medium-sized practices meet the challenges and opportunities of healthcare reform. This includes integrating physical and behavioral (mental health and substance use disorders) health, promoting clinical-community connections, and transitioning from volume-based to value-based payment models. Regional Health Connectors to assess practice needs and connect them to necessary tools and resources. Practice transformation coaching, facilitation and training services. The Hub will also provide a web-based resource portal with training and tools through a partnership with the University of Washington’s Department of Family Medicine Primary Care Innovations Lab. This web tool will launch in early 2017, serving as a clearinghouse for curated trainings and resources to support practice transformation. “Health care providers everywhere are grappling with the challenge of delivering quality care in an environment that’s rapidly changing,” said Tony Butruille, MD, a family physician at Cascade Medical Center in Leavenworth. 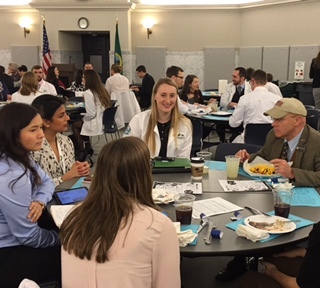 “As a doctor in a rural community, I’m excited at the potential the Hub will offer us to stay informed and receive coaching and training relevant to our clinics and clients.” Healthier Washington is a multi-agency, cross-sector initiative that works to support positive change at all levels of the healthcare system. It is funded through a grant from the U.S. Department of Health and Human Services, Centers for Medicare and Medicaid Services. More information about Healthier Washington and the Practice Transformation Support Hub is online. Aaron T Moore, DO practices primary care community psychiatry at Unity Care NW in Bellingham. He is a 2008 graduate of Touro-NV and completed an adult psychiatry residency program at the University of Massachusetts Medical School in 2012. Brian Nelson, DO practices family medicine and OMM in Tacoma. He was a member of the first PNWU graduating class in 2012. Dr. Nelson completed his family medicine training at Puyallup Tribal Health Authority Family Medicine Residency and served as Chief Family Medicine Resident 2013-2015. This was followed by a +1 residency at Samaritan Osteopathic Neuromusculoskeletal Medicine in Corvallis, OR. Scott Rennie, DO, practices urgent care medicine in Kirkland. He received his DO degree in 2003 from DMU-COM. He completed a family medicine residency in Tacoma in 2006. Ann Marie Schreiber, DO practices gastroenterology at CHI Franciscan in Federal Way. She is a 2010 graduate of MSU-COM. She completed her Internal Medicine residency in 2013, followed by a gastroenterology fellowship at MSU - Genesys Regional Medical Center in 2016. Janice Gatzke, DO is a third-year family medicine resident at Skagit Regional Health. She is a 2014 graduate of LECOM, Bradenton. Jan Hallock, DO is a 2015 PNW graduate. She completed an internship at providence Family Medicine in Spokane in 2016 and is a 2nd year resident at Trios Health Family Medicine in Kennewick. Erika Pope, DO is a first-year family medicine resident at Skagit Regional Health. She graduated from PNWU in 2016.